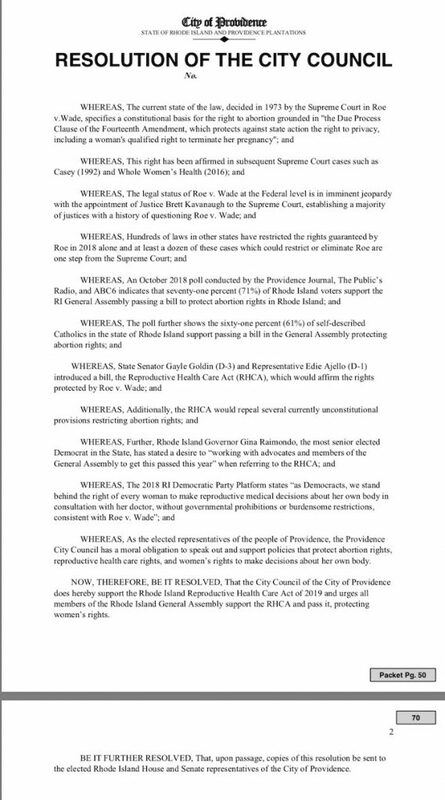 The Providence City Council, for the first time a majority woman city council, unanimously passed a resolution in favor of passing the Reproductive Health Care Act (RHCA), legislation currently before the Rhode Island General Assembly that would codify Roe v Wade into state law. 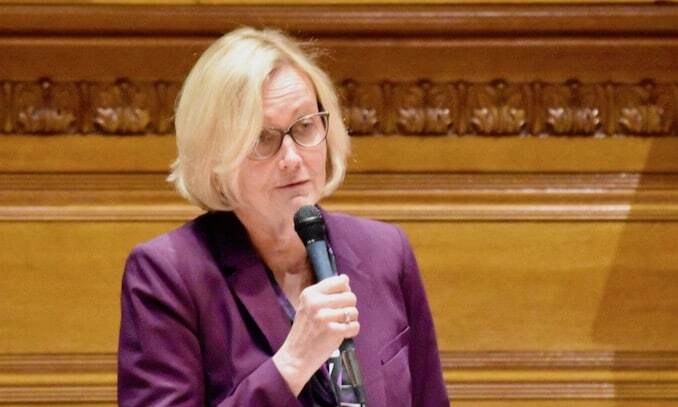 “I would like to state that [the RHCA] will also repeal outdated state laws that are no longer enforceable,” said Providence City Councilor Helen Anthony (Ward 2). “Such as mandatory spousal involvement, possible imprisonment of abortion providers and no insurance for abortions. So this is critical. The resolution was introduced by City Councilors Anthony, LaFortune, Katherine Kerwin (Ward 12), Rachel Miller (Ward 13), David Salvatore (Ward 14) and Seth Yurdin (Ward 1), but was immediately cosponsored by the entire city council once brought to the floor. Providence City Councilor Sabina Matos (Ward 15) is the current President of the Providence City Counci. “The simple fact is that Rhode Islanders are not content to watch our rights be trampled on or taken away at the federal level or ignored in our own state. We are speaking up and coming together to leverage our collective power. We do not want to sit back and wait to see if the Supreme Court continues to protect this important right. The women in our state deserve more than a waiting game where their rights and their health are on the line,” said Jordan Hevenor, Co-Director of The Womxn Project, in a statement. “We are grateful to the members of the Providence City Council for making Seth Yurdin, Helen Anthony, Nirva LaFortune, Nicholas Narducci Jr, Joann Ryan, Michael Correia, John Igliozzi, James Taylor, Carmen Castillo, Luis Aponte, Mary Kay Harris, Katherine Kerwin, Rachel Miller, David Salvatore, Sabina Matos, Providence City Council, Reproductive Health Care Act, RHCA, Rhode Island General Assembly, Roe v Wade, The Womxn Project, Jordan Hevenor, Jocelyn Foye,it clear that the time is now. The RHCA will protect and affirm our right to abortion access. Voters have made it clear that the people of Rhode Island want to see this bill enacted. We are thrilled to work with our state’s leaders to see this through!” said Jocelyn Foye, Co-Director of The Womxn Project.